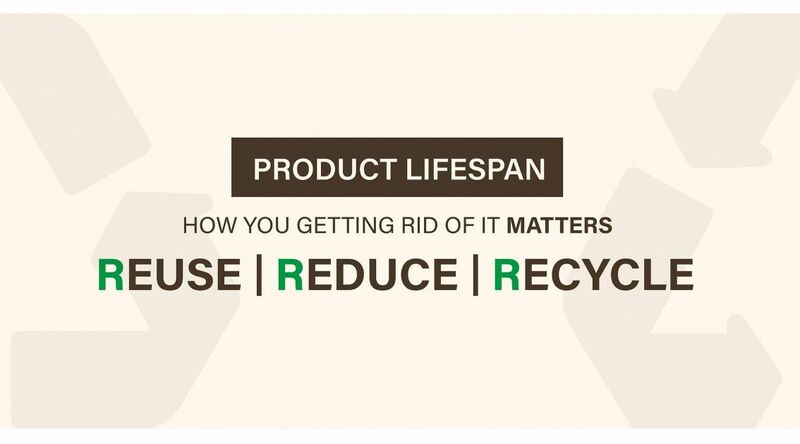 Product lifespan, and how you getting rid of it matters. In a world where most mainstream brands offer us a chance to buy new and affordable fashionable clothes every single week, our closets are filled to the top. Clothes go out of style in a heart beat, and because the quality of the fabrics isn’t the best either, we have to toss them away more frequently. The European Commission estimates that there are 16 million tons per year of textile waste,1 and only 1% of that is estimated to be recycled 2. As you can see this is catastrophic and translates into landfills being filled to the top, and millions of clothes being incinerated. But how dangerous is that? It doesn’t seem to exist enough space for everything if most brands continue to create new pieces on a weekly basis and finding themselves with warehouses full of clothes that just won’t sell anymore. If you add this massive waste to everyone’s trash and donations you will start to understand our concerns. You see it, you must have it, you buy it, and it accumulates. That rush it gives you is everything. And you probably think to yourself that it is just a harmless shirt. And don’t we all wish it was. A big part of the problem with fast fashion industries can be solve if we take a deep breath and stop ourselves from buying constantly. We don’t need all those things, and contrary to popular believe, they won’t make you happier and more successful. The hardest thing is to escape the power of the media and advertising. These brands make us feel empowered and wealthy, by allowing us to have what looks like a luxurious wardrobe for very little money. However, they are making us poorer. We are actually spending more money and using lower quality clothes than ever before. 1 shirt for 5$ survives for about 6 months. With that in mind, by the end of the year it’s not unusual that you bought 10 new shirts. However, because of the poor quality, you can only still wear 6 of them. (And between us, you know we are being super generous). This means you spent 50$ on shirts that are falling apart as you read this. You may have a lot of them but soon you will have to replace them all. Imagine if you had instead used those 50$ to buy one good quality piece. With the same amount of money, you could be building an exciting closet that would last you for decades. Good quality fabrics and designer pieces don’t only make you feel and look truly luxurious, but they are also a better investment for your wallet and for the future of our world. The average Briton shells out more than £1,000 on new clothes and shoes each year, while the average French person devotes a mere £600 to achieve ‘le look’ that others covet. (…) According to Leah Bourne of StyleCaster, a fashion website, “when it comes to style, the French do it better.” (…) “A big-ticket purchase that you love can actually turn out to be a value when compared with an endless string of disposable purchases,” she advises”. A lot of people prefer to buy online, and don’t mind buying second hand, especially when it’s a good quality piece. Someone out there will love and cherish those outfits that no longer serve you, and they don’t have to end up on a landfill, polluting our environment. Donating is a beautiful way to give a new home to your old clothes. Not only because of the people who will receive them, that wouldn’t otherwise have access to it, but also because of how much profit charity stores can make. By selling the extra donations, charity organizations are able to obtain extra funds for their causes. Never forget that a piece of clothing you’re tired of, is brand new to the one who is buying it! You can recycle your clothes by putting them on a clothing recycling bin. These are getting more and more popular around the globe, but if there isn’t one next to your house you can probably find a clothing store that accepts your oldies and redirects them to a recycling center. However, recycling isn’t ideal because it uses a lot of resources, like our precious water. Actually, you can be way more creative when it comes to giving a new purpose to those clothing items you no longer wear. Just shift your perception. For example, what now is an old pair of jeans, is actually a lot of denim fabric. Maybe they can be turned into shorts? Or even a bag? An old t-shirt can become anything from a dusting rug to the coolest way of wrapping gifts. The possibilities are endless. Who knows, maybe this can be that hobby you have been waiting for! It is unacceptable that most mainstream companies are so quick to disregard the basic human rights of their workers, treating animals in a barbaric way and exploiting our Natural Resources to the point of no return, just so that they can keep increasing their profits. We the people, have a responsibility to the world we live in. If you are reading this, you are probably privileged. Yes, there are lot of people that are richer than you, but on a global scale, you are incredibly privileged. You have more power than you know. If we all took a step back, maybe we would see that the the way we are consuming isn’t just hurting some countries, it’s hurting the entire world. Shopping on a regular basis may be satisfying but it will never be truly fulfilling. We urge you to take responsibility for what you buy and what you do with it, because the future of our world depends on it. Thank you so much for giving us your attention. We would love to know your opinions on the matter. Complete the form with the required data and receive all the news, promotions and articles from your favorite brand. Upcycling, your new favorite word! Piñatex is the new leather!